What Is the Sequence of Bases on the Complementary DNA Strand? 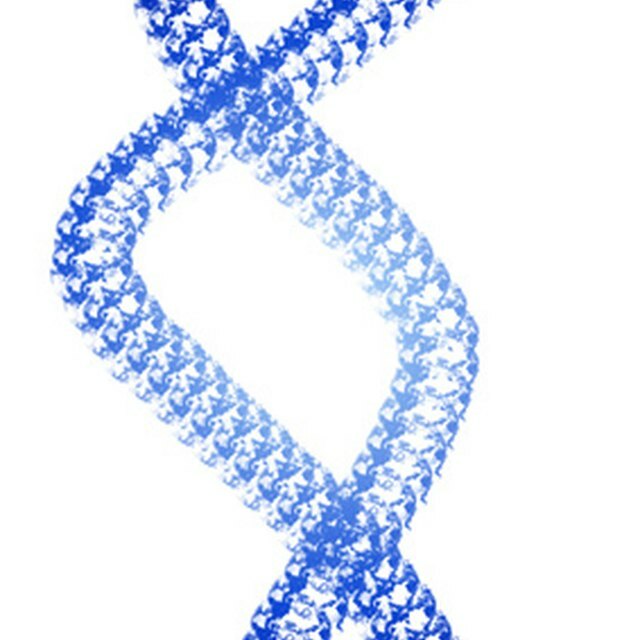 What Are the Rungs on the DNA Double Helix Made Of? What is the Subunit of DNA Called? Deoxyribonucleic acid, or DNA, is the molecule that contains the genetic information in the cells of an organism. The subunits of a strand of DNA are called nucleotides. Consisting of a five-carbon sugar (deoxyribose) a phosphate group and a nitrogenous base, a nucleotide links with another nucleotides in a repeating sequence, forming a very long, continuous strand of DNA. 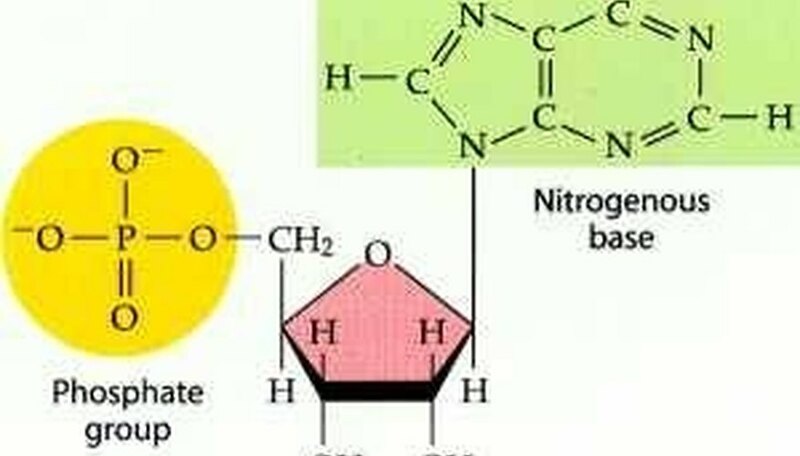 The nitrogenous base will be one of four types: Guanine(G), Adenine (A), Cytosine (C) or Thymine (T). Linked by hydrogen bonds, the bases attach to each other in specific ways: guanine must always pair with cytosine, and adenine must always bond with thymine. These are called "base pairs" and join to form structures like the steps on a ladder. In this way, one DNA strand is always complementary to the second, forming the double helix. The sequence of linkages is a genetic instruction code, like a blueprint, which determines how an organism will be made, repaired or maintained. This is called gene expression. A gene is a genetic-coded segment of DNA, packaged together into structures called chromosomes. Chromosomes are found in the nucleus of each cell. The genetic information is not used directly from the DNA. Ribonucleic acid (RNA) is used, and transcription is the process by which this code is copied from DNA into RNA (ribonucleic acid). Once it has been copied, then the genetic code can be read and expressed. The process is called translation. Translation involves a very complex process with many steps, ultimately yielding a protein or a RNA product that has a specified function. The discovery of the structure of DNA can largely be attributed to several key individuals including Johann Friedrich Miescher, who was the first to isolate the DNA molecule. He successfully separated "nuclein" out of cells, hypothesizing that the substance may play a significant role in heredity. In 1944, Oswald Avery and colleagues Collin Macleod and Maclyn McCarty published a paper on the transforming principle. They demonstrated that DNA is the genetic material within cells. Erwin Chargaff proposed that the nitrogenous bases of a nucleotide are such that guanine units will always equal cytosine, and that the amount of adenine will be the same as thymine. He also made the proposal that the DNA make-up is different from species to species. These became known as "Chargaff's Rules." Rosalind Franklin is largely responsible for key research, leading to discovery of the structure of DNA. She discovered the principle structure through a process called x-ray diffraction. Most of Crick and Watson's work used her research. Francis Crick and James Watson used the x-ray crystallographic films from Franklin and discovered the helical shape as well as the repeating patterns of nucleotide bases. From this information, they built full-scale models of DNA. When most people think of "gene expression" they tend to think in terms of physical character traits, such as hair and eye color. Actually, it encompasses the entire make-up and function of the organism. It is also the way hereditary diseases are passed along in humans, like sickle cell anemia, which is caused by a single gene mutation. There are anywhere from 30,000 to 40,000 genes in one cell of a human being. Length can vary: from 1,000 base pairs to hundreds of thousands. There are approximately three-billion base pairs on a molecule of human DNA. Reed, Aunice. "What is the Subunit of DNA Called?" 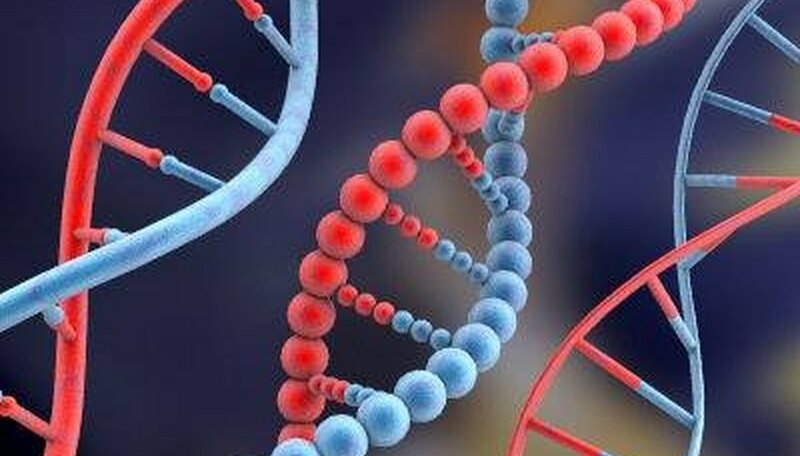 Sciencing, https://sciencing.com/what-subunit-dna-called-4597703.html. 24 April 2017. How Did Watson And Crick Determine Base Pairing? What Types of Molecules Catalyze RNA Splicing?